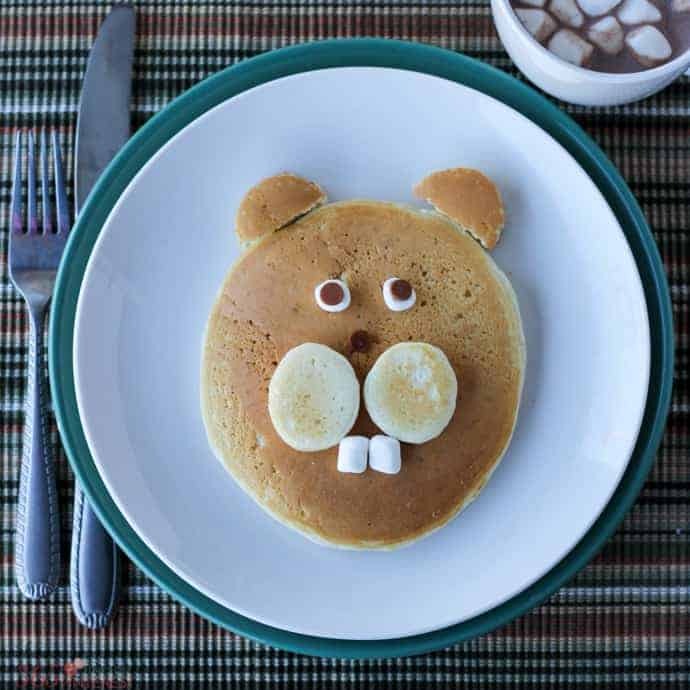 You know those people who create amazing food art for their kids every day? Yeah, I’m not one of those people. Not even close. Place the large pancake on the plate. Take one of the marshmallows and cut it in half. Press the mini chocolate chips pointy side down into the sticky side of the split marshmallow. Repeat with the other half for the two eyes. Place another mini chocolate chip on the pancake as the nose. 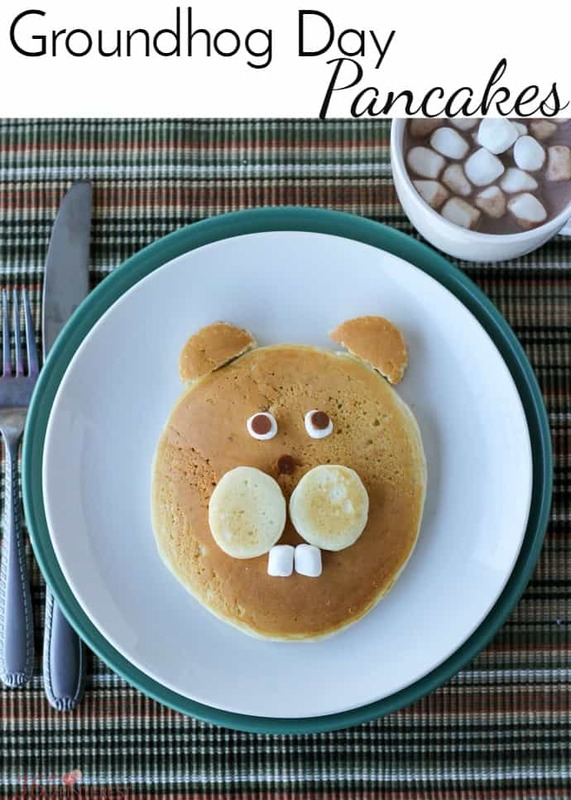 Add the two small pancakes for cheeks, and place two marshmallows next to each other for teeth. Cut the last small pancake in half and place on top for ears. Grab some syrup and eat up! Try to find two marshmallows that are the same size for the teeth. 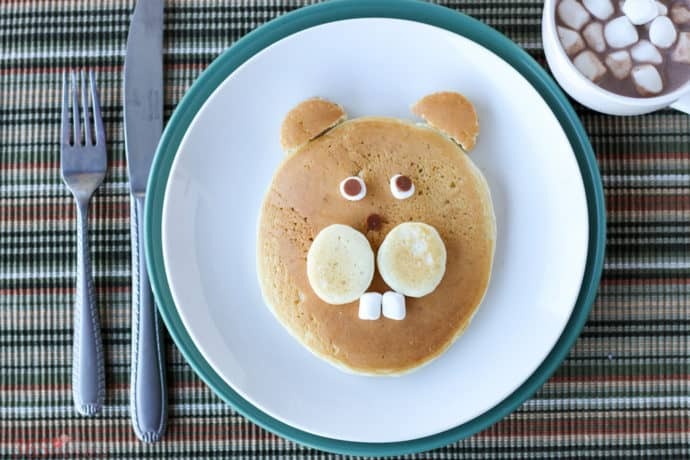 You can also use a small biscuit or cookie cutter to get the tiny round pancakes for the cheeks and ears. Small strips of bacon cut into whiskers would be cute, too! Feel free to get creative and make the pancakes your own. The whole point is just to have fun and enjoy a meal with your kids. And this is simple enough for them to help make them, too! 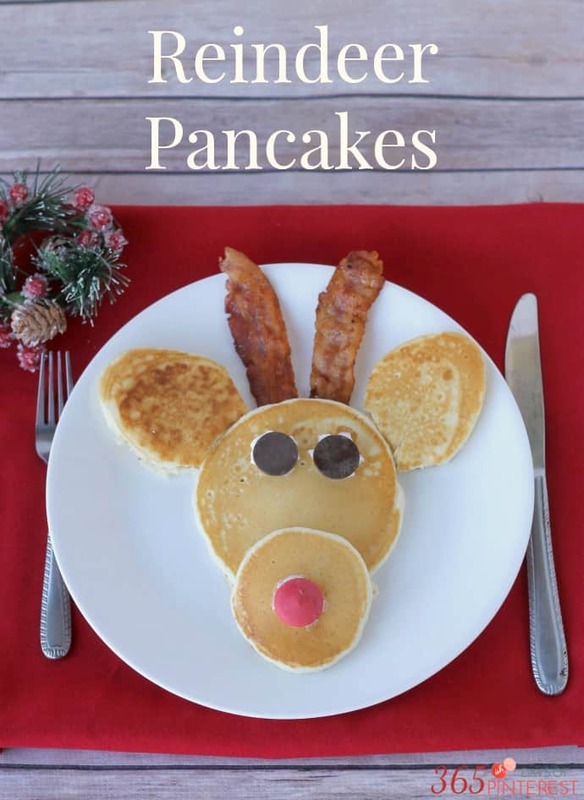 I know it’s really early (or a little late, depending on how you look at it) for these Reindeer Pancakes, but pin them now to save for next Christmas! Be sure to check back throughout the year to see new holiday-themed pancakes!